PLAIN LEVITE, covered with an apron à la gouvernante. Scarf or belt knotted in a chain. 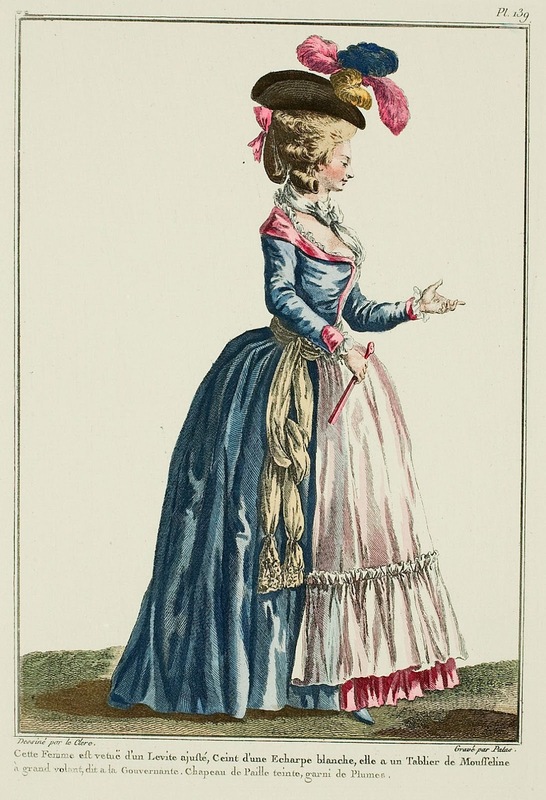 Kerchief of Italian gauze, placed en cravate, forming a désespoir. Hairstyle à la réforme, that is to say, very low in the front. 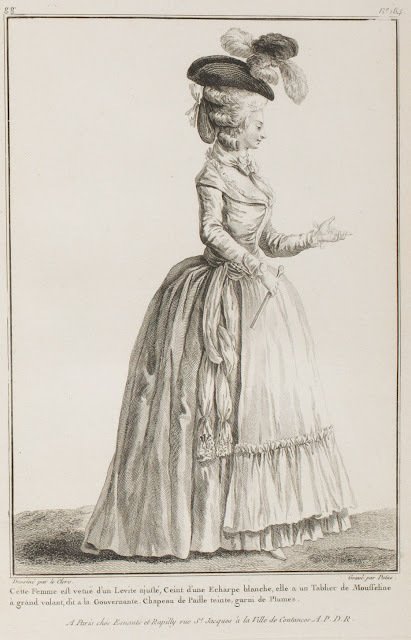 This fashion was pushed, all of a sudden, to excess; Women seemed to have passed the word to abdicate the grand Coiffures; but this revolution was too extreme to hope for a long reign: scarcely three months are passed since its first appearance, then it was dismissed.